Welcome to Jet Charter Poland, your comprehensive source for luxury air travel, private jet management and aircraft acquisitions in Poland and surrounding areas of Europe. Our mission is to provide private flyers around the world with private jet charter services that exceed all expectations. Our systems allow us to view all of the available aircraft in Poland or wherever you’re departing from, offering clients the ability to charter the ideal private jet for their charter flight. We believe that your time, privacy, charter flight preferences, and most importantly safety are extremely important. 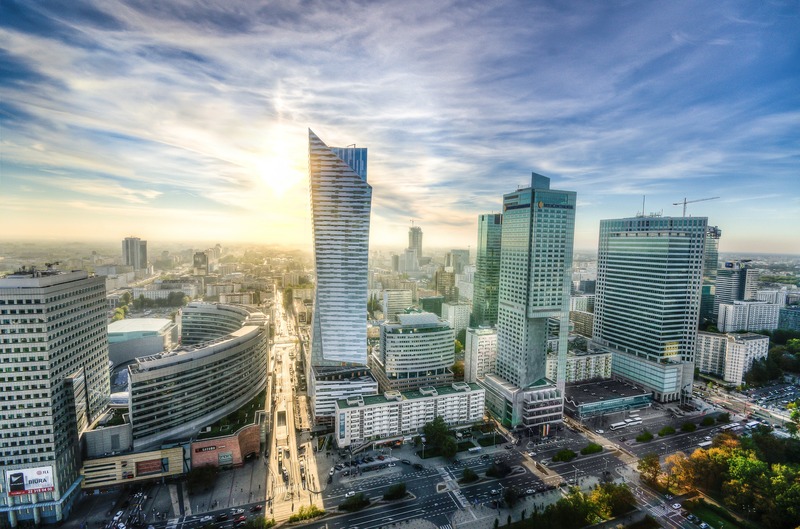 All of our Poland Jet Charter Brokers are based in the United States, and are available to answer your questions via phone and email 24 hours a day, 7 days a week. 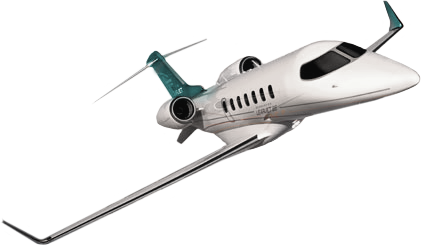 Jet Charter Poland is a Wyvern-certified jet charter broker based in the United States. Our team utilizes some of the highest standards in executive and leisure aviation, arranging on-demand private air charter services to/from Poland for leisure travelers, busy executives and VIP passengers. We have instant access to thousands of Wyvern-certified private jets and helicopters, allowing clients to select the right aircraft for each and every flight, for both domestic and international routes. Our brokers offer free quotes for all of your upcoming flight, and we can arrange a variety of concierge services to go with your flight, including ground transportation, gourmet catering, private helicopter lifts and more. Our air charter services extend around the globe, and we’re available to you 24 hours a day, 7 days a week. Enjoy working with a jet charter company you can trust, and we’ll become your comprehensive solution for luxury air travel, private jet management and aircraft sales & acquisition in Poland. Call us at 1-888-987-JETS (5387) or send us an e-mail to go over all of the options available for your upcoming charter flight. Our team is ready to assist with all of your private aviation needs, or to accommodate any special requests – consider Jet Charter Poland your one-stop shop for all things private aviation in Eastern and Central Europe. Our private jet charter services cover all of Poland, from arranging domestic charter flights for executives and affluent travelers within Poland, to arranging international routes for business trips, government agencies, various NGO’s and other organizations – no request is too big, too small, or too out of the ordinary! Jet Charter Poland isn’t limited by fleet or location — we have access to Wyvern-certified aircraft around the world, and we only use aircraft operated by FAR Part 135 or 121 (or foreign equivalent) air carriers. You’ll never fly with rookie pilots, either, as we only arrange veteran flight crews with a wealth of experience piloting the private jet you’re flying in. We’ll provide aircraft options for you based on your goals and budget, allowing you to choose between a cost-effective charter flight, an enjoyable, comfortable private jet, or the most luxurious, stylish corporate airliner on the market. 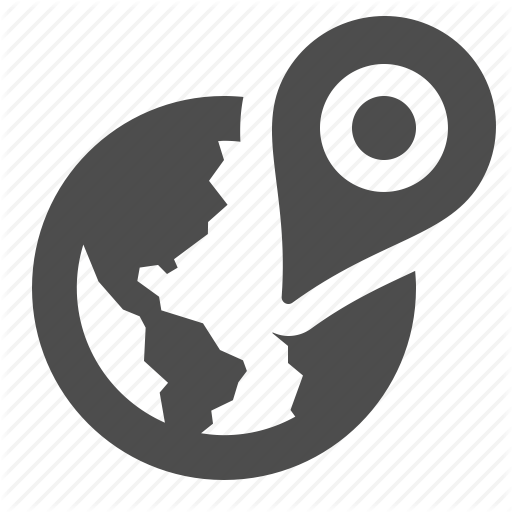 The following hourly rates for private jet, turbo-prop and helicopter rentals to/from Poland and surrounding areas of Europe are examples only, and vary based on flight routing. scheduling, make/model and many other factors. Warsaw and Krakow are both popular areas for European business aviation, and local operators may offer empty leg charter flights on aircraft needing to reposition to their home airport, which can greatly reduce the cost of your aircraft rental. Our Poland Private Jet Charter team offers a wide range of private aviation services for leisure and executive travelers in Europe and around the world. Whether you need to arrange a one-way or round-trip private flight, buy/sell your own private plane, or want to add the convenience and flexibility of private aviation to our business travel, Jet Charter Poland has you covered. Looking to purchase or sell an aircraft in Europe? Our team is here to assist both private owners and corporate flight departments in purchasing/selling a private aircraft. There are several important factors to consider when acquiring a private plane. What does aircraft ownership entail? Which aircraft is most efficient to perform your required missions? Where should you base your aircraft? How does a given aircraft perform on the charter market? These are all important questions, and we’re here to help you answer them and make the most informed decision possible. Jet Charter Poland also provides aircraft management and marketing services, helping aircraft owners offset ownership and operating costs. From determining which airport is best to base your plane, airports with the best fuel prices, routing your aircraft to maximize its market, and accounting for trends in the aviation market – having your private plane marketed and managed by Jet Charter Poland is an essential component to private aircraft ownership in Europe. Book an executive charter flight with Jet Charter Poland. Our brokers are Wyvern-certified, using safety and due diligence processes that meet or exceed the FAA’s requirements. Our levels of service are on par with Fortune 500 corporate flight departments, and many of these companies contact our team when they need to arrange a charter flight. All of the private aircraft we use for private jet charter service in Poland are all operated by FAR Part 135 air carriers (or foreign equivalent), and we provide competitive, fair quotes for each flight. The privacy, safety, and comfort of our clients is our top priority, which is why we review the most recent Wyvern PASS reports detailing pilot safety, aircraft maintenance and operator history when arranging private business jets to/from Poland. If you have a private or corporate aircraft that has a mechanical issue, or have simultaneous trips for your business executives and are short a plane, we can arrange a supplemental lift to/from Poland in as little as 4 to 6 hours! Our unlimited quotes with zero commitments allow fractional owners and jet card members to compare us to their current plans! Are you frequently chartering flights to/from Poland or surrounding areas of Europe? Maybe you’re a first-class traveler interested in experiencing the benefits of private aviation for yourself. Either way, Jet Charter Poland is present all of the options available to help clients so they can make the best decision regarding their luxury air travel. While we mainly focus on pay-as-you go, on-demand jet charter service, we understand clients have different needs and goals, which is why our tea, is available to discuss the benefits and limitations of fractional ownership and jet card memberships — our honest, transparent advice is available to you at any time, whether you end up working with us or not. Sometimes private aviation doesn’t come as a luxury. During difficult times when a friend, family member or loved one is suffering through health problems, medical charter flight or air ambulance may be the most comfortable way to transport an individual. In some cases, it’s the only way. Individuals and patients with medical conditions may require an Air Ambulance with medical staff on-board, while others may require a private aircraft if commercial travel is not an option, or a major inconvenience. Our team specializes in arranging Medical Charter Flights and Air Ambulances in Poland, finding the proper aircraft and the appropriate medical crew for your needs. Our team is here to handle all of the logistics, paperwork and other details so you can focus on caring for your loved one. If you have any additional questions or need to book a Non-Emergency Medical Charter Flight or a Medical Air Ambulance, pick up the phone and give us a call – we understand how sensitive and stressful these times can be, and that’s why we are available 24 hours per day, 7 days per week for you and your family. 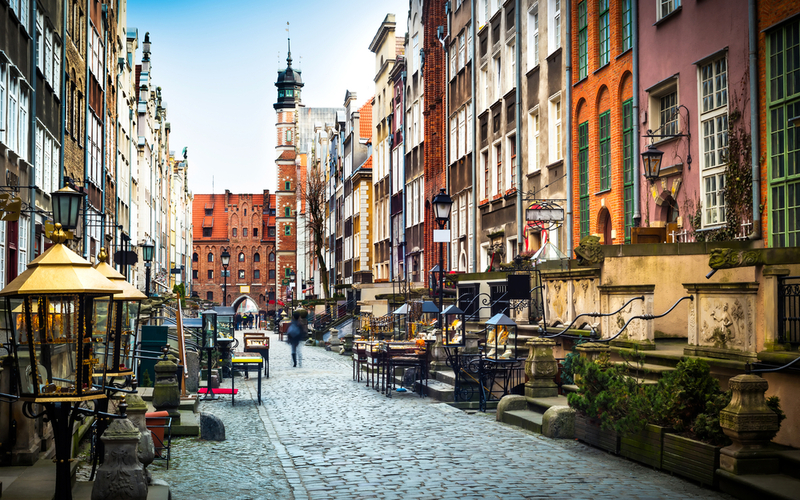 Poland is a popular destination for private and business aviation within Central and Eastern Europe, and the high-volume of flights originating from major cities like Warsaw and Krakow create opportunities for empty leg charter flights. Many private jets, turbo-props and helicopters are based at airports across Poland, giving clients a wide variety of planes to choose from. One-way routing is easy to arrange and a popular way for executives to get to/from business meetings, creating another empty leg flight that needs to return to Poland. Jet Charter Poland is your comprehensive source for luxury air travel to/from Poland and surrounding areas of Europe. We have years of experience working directly with high-profile clients and personal assistants to book charter flights for luxury travelers and VIP clients. Whether you’re chartering a private jet for media members, athletes, celebrities, government officials or business executives, our Poland private Jet Charter team is familiar with the demands and requirements of these flights, and we go above and beyond to give our clients the best private aviation experience possible. If you’re a personal assistant and need to arrange a private flight to Poland for your client, let our team be your personal assistant in private aviation. 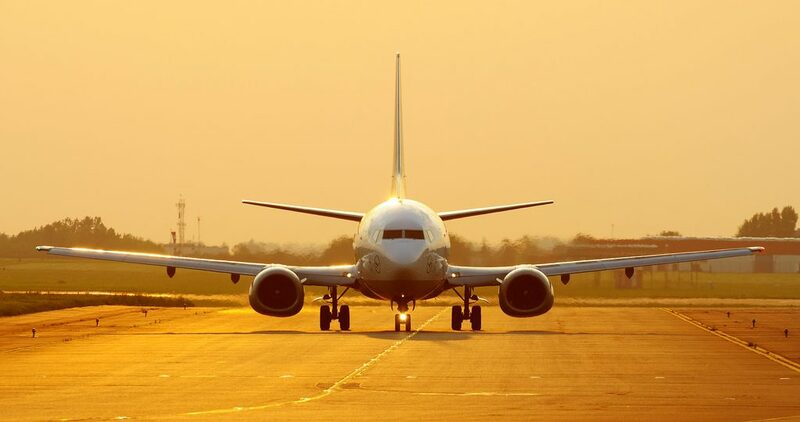 We understand that while it may come down to the bottom line, it is equally important in forming a relationship with a company you can place your trust in to arrange your flights. That’s why our Poland Jet Charter team is here to answer your aviation questions. Our goal is to provide each and every one of our clients with a transparent, one-on-one consultative experience when arranging private fights to Poland. Our services cater to a variety of private clientele throughout the world; no request is too big, too small, or too out of the ordinary. We are committed to the pursuit of arranging excellent jet charter flights, and will never cut corners regarding your privacy, safety, or comfort. When using our Poland air charter company, you can expect quick response times and an easy, hassle-free booking process. Call or email our team for your free charter quote with no commitment required. Our Poland Private Jet Charter team will help you with all of your private aviation needs, from booking charter flights and creating their itinerary, to arranging gourmet catering and luxury ground transportation – consider us your one-stop shop for all things private aviation.